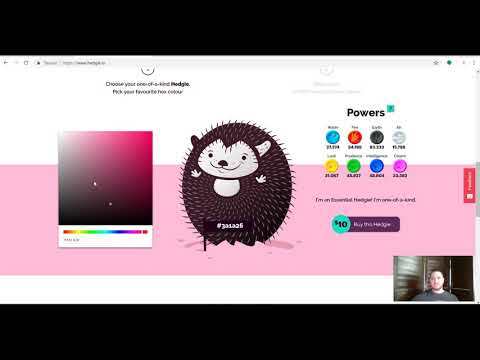 Hedgie is a limited edition cryptocollectible that makes crypto coin in a free-to-play blockchain game. Journey with your Hedgie through four kingdoms and earn Curio coin! No two Hedgies are the same – each is one of 16,777,216 hex colours in existence, and possesses unique characteristics based on four elemental powers and four traits. 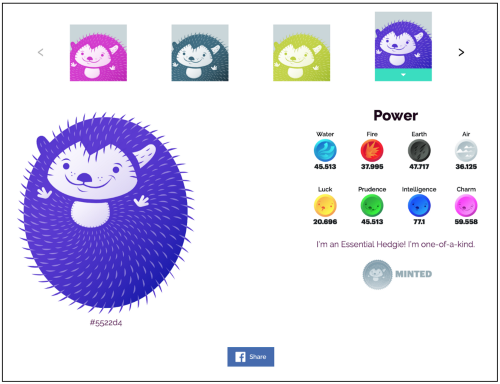 These powers and traits determine your Hedgie’s performance in the game. There are four game kingdoms to choose from: the Desert, the Wetlands, the Forest, and the Mountains. Different kingdoms offer different kinds of loot. When your Hedgie goes out on a journey, it will return with loot that you can consume for a power boost or exchange for Curio coin. Use your coin to buy gear for your Hedgie, or spend it in the real world. The Curio you earn with your Hedgie can be spent at Hedgie-Approved businesses. What’s the “Crypto” in Cryptocollectible? Think back to how trading cards worked when you were a kid.